There are few things as exciting and liberating as a writer than knowing the moment you hit ‘Publish’ on your next blog post, thousands of people will be looking forward to hearing what you have to say. Hundreds of comments flood in. Emails from excited readers fill your inbox. Your subscriber count jumps (again!) and you’re overwhelmed by the thousands of dollars hitting your PayPal account as your latest product flies off its digital shelves like hotcakes! Sounds perfect, doesn’t it? But this rarely happens. Not to you anyway. Not now. Not yesterday. Not ever. But you’re not alone. For most bloggers, that moment after hitting ‘Publish’ is filled with nerves. You publish your article, you share it on social media, you comment on a few of your favorite blogs, and you walk away from the computer to take a break. But you can’t leave it. Your smartphone is close by, and you’re checking it every five minutes for the faintest hint that your latest article is the one that is finally going to bring in hundreds of new subscribers. The one article that is going to break your PayPal account as it tries to keep up with the incoming sales. But nothing arrives. No comments. No emails. No sales. It’s crushing and soul-destroying, and you find yourself questioning what is going wrong. Is it your writing? Is it a lack of marketing skills? Are you in the wrong niche? Are you just not lucky? Or are you just not cut out to be a blogger? To be frank, your content is probably excellent. And your writing style is probably engaging, conversational and witty. Your niche is probably busy with lots of competitors, but this isn’t the reason your blog is quiet. And yes, your luck might be down just a little, but this also isn’t the reason your heart falls from your teeth every time you publish a blog post. You can have the most luck in the world, write the best content your niche has ever seen, and write in a way that makes the world’s sides split with laughter, but all this is worthless if you can’t get visitors into your website and can’t convince them to subscribe. Today, we show you 13 actionable steps to subscriber success. 13 proven techniques that you can implement in less than a week to ensure the number of subscribers you have seven days from now is more than you have today. Guest blogging refers to writing for a third party blog and publishing your article on their website. Generally, you should write for one of your competitors who is larger than you. Guest blogging is a win for everybody. You get the chance to put your work in front of a larger audience and therefore attract new readers to your blog. The third party blogger receives unique content for their website at no cost to them other than displaying a short introduction to you and a link to your website. And the third party’s subscribers are introduced to a new blogger with a unique spin on a topic they’re clearly already interested in. 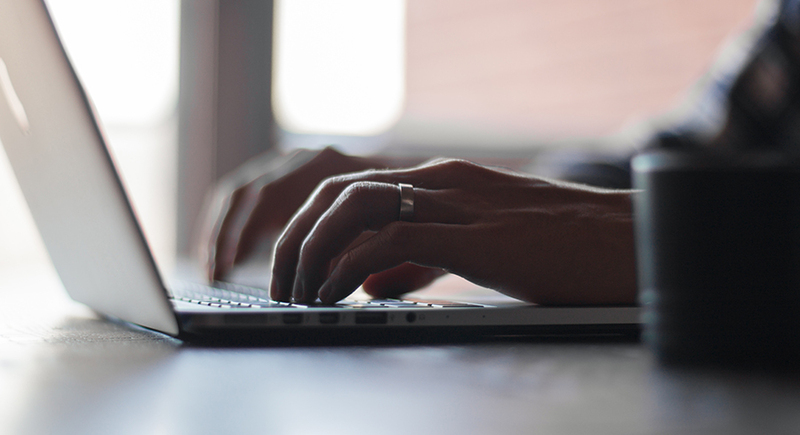 Start your guest blogging today by making a note of 10 of your largest competitors. Contact each one individually, ensuring you introduce yourself, your blog, and the title of the guest post you would like to write for them. Keep the email short and to the point, remembering these bloggers are likely to receive lots of guest post pitches every week, to ensure the article you pitch is unique. Once your pitch is accepted, make sure you know the terms. Specifically, will the blogger link to your website from a short introductory biography, or are you allowed to link directly to your website from within the article? The latter is the preferred option as readers are more likely to click a link within the article as opposed to a link in a biography. As with most things in life, the success you receive is often better if you give more than you take. By commenting on the blogs of your competitors, you open up yourself to building relationships with like-minded people in your niche. This includes both the readers of your competitor’s blogs and also the author of the blog you’re commenting on. 2. You’re able to position your brand in the market place. By ‘your brand’, I generally mean you. Your name. Over time, as you comment more on the same blogs, other regular readers begin to recognize your name. If your comments are consistently insightful and well thought through, you’ll soon find readers want to hear more of what you have to say and therefore visit your blog. While most bloggers prefer you to subscribe to their blog via email, I often prefer subscribing via RSS feed. My feeds automatically refresh every five minutes, so I can be sure that when a new article is published by one of my competitors, I’m one of the first to read it. This usually means my comment is close to the top of the comment list, and therefore more likely to be read by other subscribers. This results in more clicks and better brand positioning for you. You’ve probably come across many bloggers who don’t use social media to its full potential. They follow lots of competitors and lots of potential readers. Thousands in fact. But their Twitter or Facebook feed is full of nothing but “View my latest article: ABC, click here”. Every Tweet looks like this and is a regular sight once a day at the same time. If you’re not being social on social media, you’re using it in entirely the wrong way. To use social media to its full potential, you need to give more than you take. Read what people are saying, reply to them and engage in conversation. Only then, once you’ve had the conversation with your followers and those that you follow, should you expect any uplift in blog visitors and subscribers when you publish a link to your latest blog post. Without this engagement, you’re just a self-obsessed marketer and a bad one at that. One of the simplest ways to increase the number of people who subscribe is to offer an incentive to do so. Consider what problems your readers have that you can solve. Can you write an ebook to solve these problems? Can you provide a functional action plan to get them unstuck? Or maybe you can interview some of your favorite authority figures in your niche and package these together in one document. Whatever your incentive, make it unique and only available to those that subscribe. Make sure the incentive is stated clearly next to your subscription form, and don’t be afraid to publish testimonials from other readers who have praised your content. While there is some initial effort to build this incentive, the long-term benefits are worth it. With a combination of guest blogging, blog commenting, social media engagement, and offering your subscription incentive, you should already be seeing an increase in subscribers. But that doesn’t mean we should forget the basics. Search engine optimization, the process of ensuring your website and content can be digested by search engines to help improve your website rankings, shouldn’t ever be underestimated, especially if your audience are novices to your niche. The first place a novice often turns is to Google. To ensure your blog and content is optimized for search engines, install the Yoast SEO WordPress plugin. The Yoast plugin checks your articles to ensure it ticks all the boxes required to build a search engine friendly website, and provides you with handy alerts and tips if there is any room for improvement. While you’re not likely to see an immediate rise in search engine rankings by using this plugin, over time you should see a positive shift. Contests aren’t the easiest of marketing techniques to utilize and organize, but the end results are worth it. Start by contacting authors of popular books in your niche to see if they’re willing to provide signed copies as prizes for your competition in return for promotion of their book. Then contact consultants in your niche to see if they’re willing to provide an hour of their time. And utilize your own skills by offering your own services for free as a prize. With all those combined, you’ll hopefully have enough prizes to entice competition entrants. To enter the competition, ask readers to subscribe via email. Automatically enter all your current subscribers. To gain extra entries in the competition, ask new and current readers alike to share and like your social media posts across Facebook and Twitter. This creates a positive circle where readers subscribe to enter, then share links to your website across social media, resulting in more subscribers and another round of social media sharing. While most of the techniques we talk about in this article don’t have any upfront cost associated with them, advertising on Facebook is the one exception. By using targeted traffic ads, you can ensure your advert only appears on the feeds of those people who are genuinely interested in your niche. For example, showing your advert only to people who have liked one or more of your competitors Facebook pages is simple to set up. Be sure to test different adverts and measure the results. For example, test advertising a single blog post vs advertising a more generic message about your overall blog. While targeting adverts to specific niches is relatively simple, the sheer volume of options you have when setting up a Facebook advert can be confusing. We recommend this excellent guide to walk you through the process. Attempting to convert those who comment but yet haven’t subscribed is one of the best ways to find new subscribers and often has a much higher conversion rate compared to those who haven’t ever commented. Readers who comment on your blog have already engaged with you and have already been so impressed they felt compelled to contribute to your blog. This is excellent, and we shouldn’t let this opportunity fall by the roadside. That’s why we recommend redirecting commenters to a specific ‘Thank You’ page. Most blogs display a quick thank you message under the comment form after a comment is submitted, but by redirecting them to a specific page you have much more real estate to allow you to convince them to subscribe. With a whole page dedicated to saying thank you and converting them to a subscriber, you can display your email subscription form and offer them the incentive to subscribe as discussed above. Best of all, redirecting them is made easy with this excellent WordPress plugin. It seems like a given, but most people don’t publish their blog URL in their email signature. Of all the communication channels you use each day, be it email, social media, phone and in-person, you’re probably most likely to use email the most. It makes perfect sense to market your blog in this environment. Be sure to link to a custom landing page containing a subscription form, and don’t forget to pre-populate the subscription form with the readers’ email address if your subscription service allows it. Social proof is an excellent way to attract new subscribers. While you may not have heard the term ‘social proof’ in the past, you’ve probably seen it on many websites. If you have ever used Booking.com, for example, you’ll have seen messages stating how many rooms have been booked at a hotel within the last 7 days, or how many people have viewed the hotel in the last 24 hours. This is social proof and is used to try to encourage website visitors to take decisive action, be it to purchase or to subscribe. 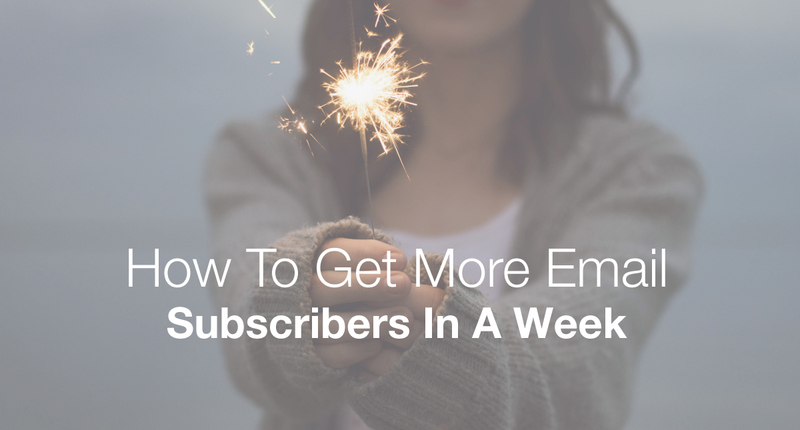 In the example of your blog, you may already show how many subscribers you have. For example, a simple message next to your subscription form such as “Join the other 232 subscribers by entering your email below”. This is social proof and you may already be doing it without realizing. That said, you can take this further by displaying the number of people who have subscribed within the last seven days (adding a timescale adds urgency), or by surveying your subscribers to ask whether or not they would recommend your blog to a friend. This survey then gives you the results to be able to say “X% of subscribers would recommend this blog to a friend”. Ultimately, singing your own praises and telling the world how good your blog is will only get you partial success. Letting your readers and subscribers tell the world how good your blog is via social proof and testimonials is a far more powerful encouragement. Here’s a little snippet from my “About Me” Page. Your about page is your area to connect with your readers. Far too often we see about pages that make no mention of the author and make us feel like we’re on the worst first date ever! Readers don’t subscribe to blogs where they have no connection. Whether it is a connection to the author, the writing, the niche or the other subscribers, there has to be some kind of connection to convince a reader to subscribe. Your about page is the perfect place to start building this relationship. Start your about page by telling a story. Readers love stories. They capture imagination and keep people reading. A funny story or a story with suspense is even better. Then add a photo of you, the author. Even though this about page is about you, still focus on your readers. Tell them how you can help them. Talk about the problems they face and how they can be resolved. Don’t be tempted to talk about you too much (we don’t want to know what your cat is called… unless you’re blog is all about cats!). Finish the page with a subscription form. Once you’ve built your connection, you want to call them to action by asking them to subscribe. Just like commenting on competitor blogs and actively engaging in conversation on social media, posting in related forums is an excellent way to build brand awareness, make new contacts, and gain new subscribers. As always with anything community led, make sure you contribute more than you take, so don’t be tempted to immediately publish promotional links to your blog. First, introduce yourself to the community, and take part in the various conversations already under way. Over time, as your posts become well received and people start to recognize you as an authority in the niche, they will become more receptive to links to your blog and may actively seek to read more from you by finding your blog for themselves. As with any forum, make sure you read the rules and adhere to them. It only takes one mistake for your reputation and brand to be punished. It’s very easy to plow straight into launching a blog without considering the problems you’re truly trying to solve for your readers. For most bloggers, and for you too I imagine, the goal of their blog is eventually to earn an income. In order to earn this income, and to give you the best possible chance of selling products, you need to know what your readers problems are. To find this out, survey your readers. Ask them one question: “What is the one thing you most struggle with [in your niche]”. For example, a weight loss blog might ask its readers what the one thing its readers struggle with the most when trying to lose weight. Is it managing a balanced diet? Is it finding the time to work out? Or is it issues with confidence in the gym? Once you have surveyed as many readers as possible, the results should give you a long list of problems you can solve, ranked in priority order based on how many people listed this as their biggest frustration. You now have a list of genuine problems you can solve, safe in the knowledge that everything you write and every product you prepare to sell is going to be relevant to your readers. If you don’t have enough readers to survey, simply contact those who have commented on a competitor’s blog. A short, sweet, simple email asking if they would mind helping will almost always be received in good faith and result in a response. Over many years, the above 13 ideas have proven themselves to work flawlessly as excellent blog promotion techniques. I’m confident they can be started and put into place within a week. Start with the basics such as amending your about page, ensuring those who comment are sent to a thank you page, and creating a subscription incentive. Once you have amended your blog to best convert visitors into subscribers, it’s time to start the work off your website, such as Facebook adverts, guest blogging and forum posting. All these techniques combined should mean that by this time next week, you’ll have more subscribers than you do today. And as you think more about the real needs and desires of your audience, especially after your survey, you can be confident that every time you publish a blog post, the response will be positive instead of being met with the awful silence of before.